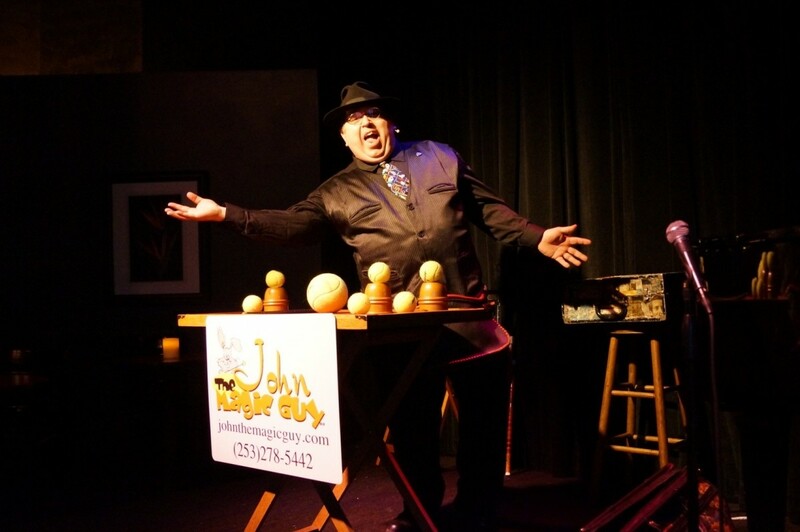 Based in Washington, John the Magic Guy performs outrageous comedy magic shows for corporate events, parties, fairs and festivals. John the Magic Guy performs OUTRAGEOUS comedy magic shows for any event and all ages. Corporate functions, Birthday Parties for any age, Fairs and Festivals. John the Magic Guy can also perform a special "Walk-A-Round" magic show for any event you have in mind. John the Magic Guy was bitten by the "Magic Bug" back in 1992. While strolling the streets of Reno, NV, he just happened to walk into a magic shop where the owner showed John a quick little magic trick and started John on a wonderful journey into the world of magic. Since then, John has studied and practiced various forms of sleight of hand and prestidigitation. John first used his newfound skills working security surveillance in the casinos in Reno watching for card cheats. Later, John moved back to Washington State and joined The Tacoma Magic Club where he learned to perfect his performance ... skills and put together comedy magic routines as well as the skills to perform street shows for fairs and festivals. 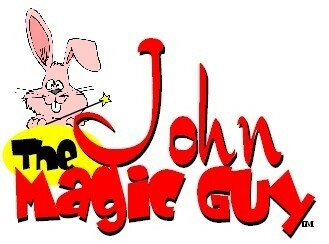 John has been a member in good standing with The International Brotherhood of Magicians since 1994. For the last 17 years, John has been performing for private events as well as fairs and festivals all over the Washington area. John has performed at the Paramount Theater, Giggles Comedy Club and Pike Place Market in Seattle, WA as well as The Tacoma Comedy Club, Galloping Gerties, J.R's Whistle Stop, The Tacoma Dome, various community centers in the Tacoma area, The Tacoma Shriners and been a regular street performer at Puyallup's Meeker Days for the last several years.